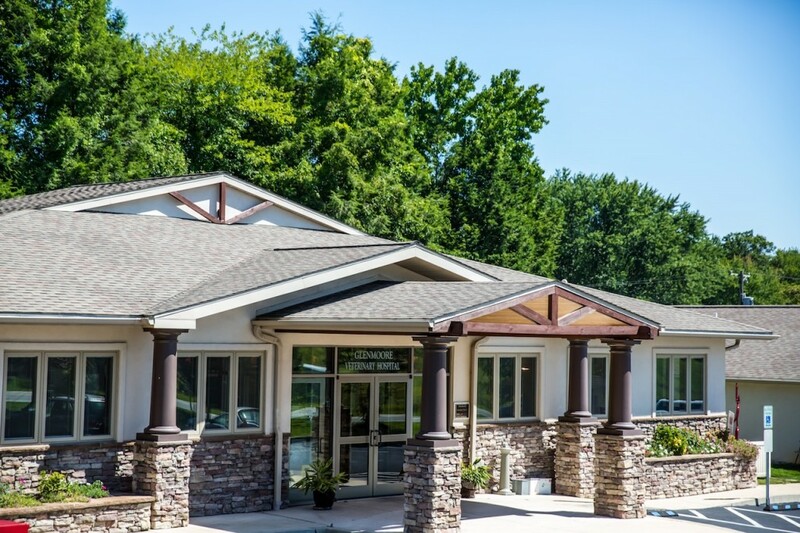 Glenmoore Veterinary Hospital was founded in 1993, and was expanded in 2006 to accommodate our state-of-the-art surgical suite, in-house digital radiology and ultrasound suite, dental treatment areas, and on-site laboratory equipment. Our 8,000 SQ foot hospital has seven exam rooms, a fully stocked pharmacy, critical care treatment area, and also includes a separate, comfortable housing for all our in-patient feline, canine, and exotic friends. Our state-of-the-art facility helps us to provide the best, quality care for our clients. If you’d like to learn more about our facility and all we have to offer, please check out our About US section and video, or just give us a call! Our mission is to provide your pet with the quality, loving care that we would want for our own pet, throughout their life. At Glenmoore Veterinary Hospital… we practice kindness.